Gelation of ultra-heat treatment (UHT) milk on storage is one of the major factors that limits its shelf life. A large body of research work is available on gelation explaining possible mechanism and ways to control it. While exact mechanism is not completely understood, it is generally agreed that the gel is a three-dimensional protein matrix initiated by proteolysis of milk protein. First, β-lactoglobulin and κ-casein complex is formed (βκ-complex) on casein micelle. This complex then dissociates from casein micelle and aggregates into a three-dimensional matrix, resulting in increased viscosity and gel formation. At this point, the milk would be commercially sterile when packaged and would not go sour, however, gel would form and the milk would not be unacceptable for human consumption. What causes the proteolysis in aseptic milk? 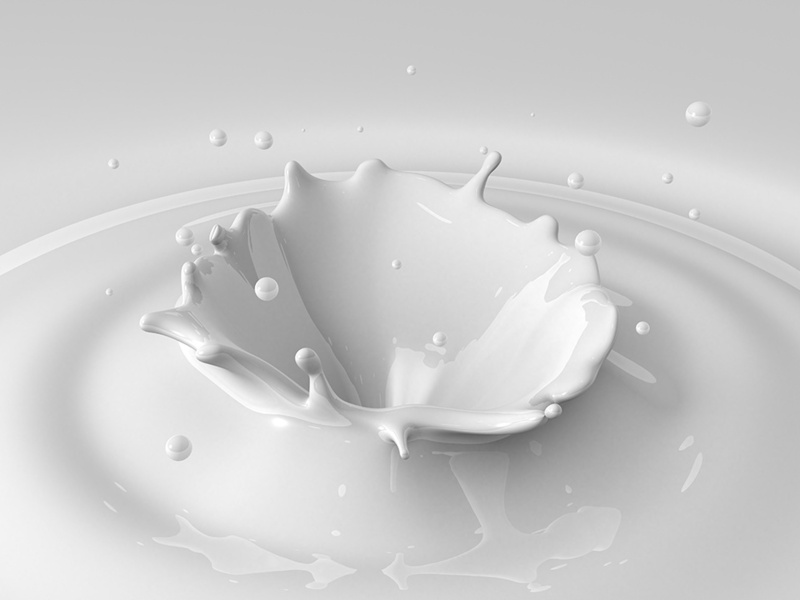 It has been attributed to enzymes both naturally present in milk and to those of bacterial origin. Plasmin, a proteinase enzyme is normally present in milk in small quantity along with its precursor plasminogen. In the presence of activators, these precursors are converted into plasmin. Also bacteria especially psychrotrophs grow in raw milk and produce extracellular proteinases. These psychrotropic bacteria can grow in raw milk before processed. Both these enzymes are very heat stable and survive UHT treatments to varying degree and hence remain in milk to carry out proteolysis on storage. Plasmin is associated with casein micelles and it is also present in fat globule membrane. It is very stable at high temperatures shown by the fact that 90% of it can be inactivated by heating at 288 °F for 18 seconds. Plasminogen and plasminogen activators are more heat stable than plasmin and thus proteolysis by plasmin during storage is possible. Heat stable proteinase produced by psychrotrophs such as Pseudomans fluorescens are major cause of gel formation on storage. Proteinases from Pseudomonas fluorescens are extremely heat stable requiring heating at 284°F for 2 s to 300 s for inactivation. These proteases showed less than 10% destruction during UHT sterilization of milk at 300 °F for 4 s.
Increase sterilization temperature from 288 to 305 °F and hold time from 6 to 12 s, to achieve a longer shelf life. However, this also results in decreasing the nutritional value by 4 times.